For many years I’ve been ducking and diving the Carping media scene but when Jon Banister came knocking for the ‘My Way’ series in Carpworld last year I knew it was about time I started giving a little bit back to the hobby which has played such a massive part in my life so far. So when I got a call last week and Jon asked me to do a piece for this exciting new ezine The Session from one of the leading Carp fishing tackle manufacturers Greys and Chub, how could I possibly refuse? I decided to get stuck into one of the key topics in fishing, in my eyes anyhow. Confidence! How much of a part does confidence play in your fishing? You would think that the natural progression when pursuing Carp would be that it would get easier the more experienced you become? Like a lot of things in life learning the theory is the easy part. 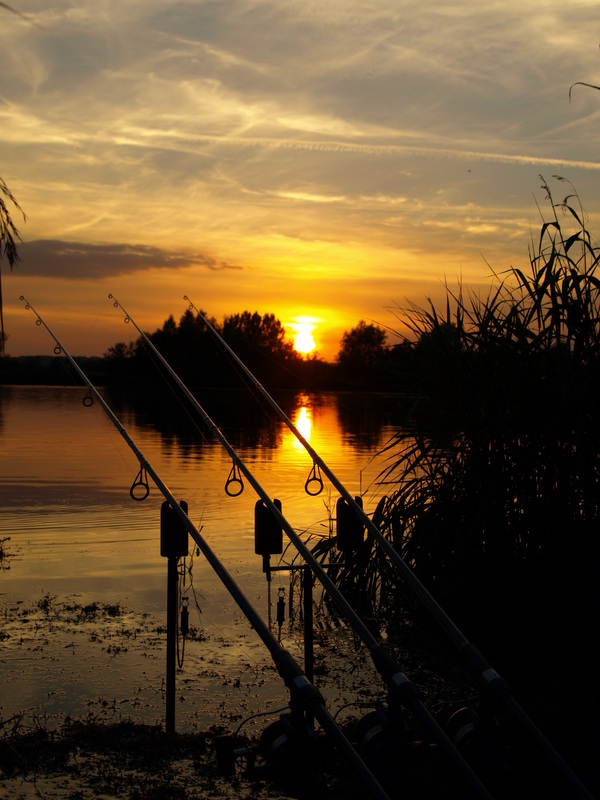 There are many situations in Carp fishing where quite a rigid set of rules will apply but fishing is never going to be an exact science and quite often we are left pondering and wondering why things didn’t turn out as we expected. When you’re sitting in your favoured swim there are many things that will go through your mind. It’s like a mental checklist that you keep going over and over in your head. Location is always first on the list for me. Location can either be a very complex collection of variables or it can be as blatant as Carp crashing about on the end of a big spring south westerly wind. Once you’ve established the location that’ll best suit, you’ve got to start thinking about your presentation. How am I going to present a hookbait in this area I have chosen and also taking into account water clarity, the make up of the bottom and depth of water? The third factor in my eyes can make or break a session on the bank and certainly wipe out any of the previous factors I’ve mentioned so far. Bait application can make a massive difference and influence your results heavily. I’ve found through my own experiences that building the fishes confidence will in return massively build your own. I’ve focused a lot on this confidence building tactic over the years and believe me it can be soul destroying and a painful process but when it comes together and you get the results you’re after the rewards can be overwhelming. One of my most favoured tactics is baiting the two most likely areas you can find with virtually identical spread and amount of bait. Some people might think this is brave or even mad, but I’ve found that feeding Carp and not catching them is very important. If you’ve got two areas baited in a lake you’re going to have various groups of fish visiting both spots for as long as there is bait in that swim. The key is that they have got one spot where they can feed happily, with no lines in the water and with never a chance of them being caught from that area. 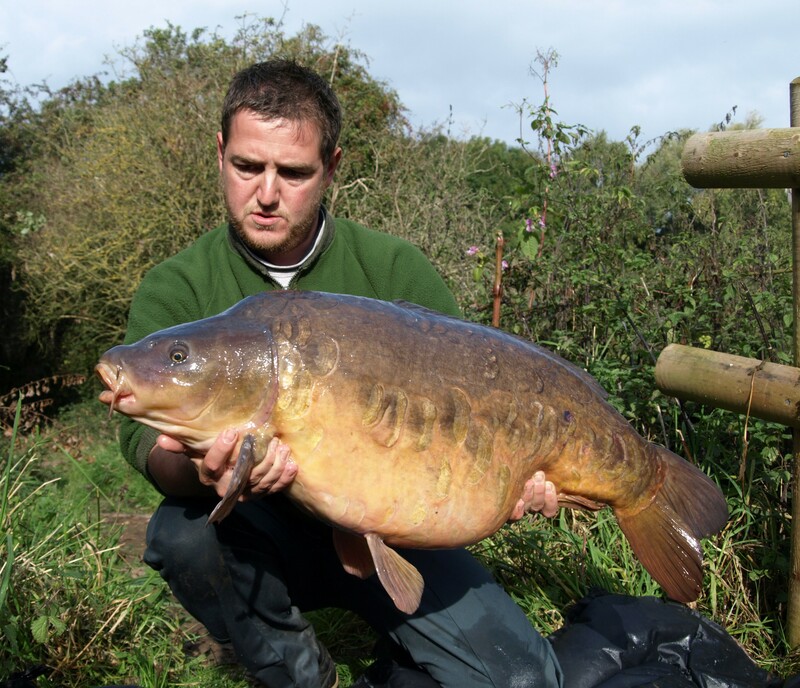 This is a great way of building the Carp’s confidence. Normally this high level of confidence can only be obtained with pre-baiting, which is again feeding them but not fishing for them. So the scenario reads like this; you’re fishing a pit and you have two baited spots. One spot is baited and you have your rods in that area and you’re watching your other baited area like a hawk. The evening is drawing in; you know what I’m going to say next? You guessed it, the Carp start showing down on the other area with a definite display of feeding. This is where your own confidence really needs to kick in and override any element of doubt regarding your current location. More often than not those fish wouldn’t be putting on such a visible feeding display if there were 3 lines out in that area and there is also a good bet that a few of the fish have already been tiptoeing around your lines in the area that you are actually fishing and fed on the bait with much more caution. So what might happen is you could get 3 or 4 groups of fish over the period you are fishing continually travelling back and forth, (normally in the direction of their natural patrol route) from the 2 spots but all the time growing in confidence as they eat more bait and realise that they’re getting a free meal. The theory goes that the longer this goes on the closer you will be to banking the first fish of the trip and maybe a few more soon after, and because you’ve got a steady movement of fish in and out of the swim the chance of spooking the fish and killing the swim with a bite is less likely. These sorts of tactics do work and work well when the amount of bait that is put out is carefully calculated against time of year and water temp (digestion rate), size of lake and current fish stocks. All my big hits of fish in a short period have been over larger amounts of baits, and it just points straight back to the simple factor of feeding them without catching them. When the Carp’s confidence is high its feeding can almost become a frenzied state and then the swim just builds. With more Carp eating and coming and going all the time, then the element of competition creeps into their feeding and that’s when their guard really seems to drop. Belief that you are happy with your approach and tactics has always been a big thinking point in my fishing and to be honest it can also become detrimental to results at some stages but there is nothing worse than sitting in your swim continually questioning what you’re doing is right. Subconsciously I’ve become very stubborn in my approach over the years, meaning a lot of decisions are premeditated and made before I arrive at the lake. 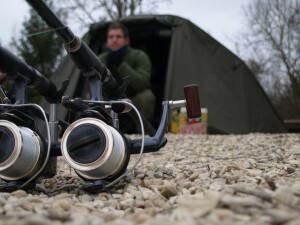 The mental preparation is a massive part of my game and therefore when getting to the lake I have a fair idea where I need to be and how much bait I need to put in to maximise the chance of a bite for the length of time I’m there. If these decisions prove to be wrong inevitably a blank is on the cards, all very basic stuff I know but to be fair carp fishing can be as complex or as basic as you want or need it to be. Many peoples thought processes about what’s going on regarding baiting and tactics can be very enlightening and indeed these subjects continue to create hours upon hours of carpy opinions. 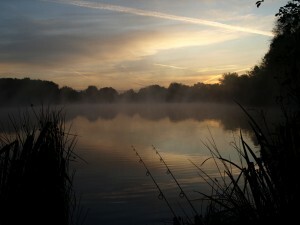 There are a wide choice of carp forums and magazine articles which generate topical bank side chat. That’s why inner confidence is so important to me and whether I’m right or wrong in my approach I continue to draw on my own experiences and watercraft ability, but I never question anyone else’s opinions, I only utilize and clone them for future reference. As spring is just about with us now I’m looking forward to taking on a new and welcome challenge this year, which is a change from what I’ve been up to in the last 3 or 4 years. I’m having some time out from the low stock non-publicity waters that I’ve been stuck on for far too long now and moving on a 9 acre pit in Northamptonshire that I’ve been lucky enough to get a ticket on. With a stock of upwards of 200 fish this hopefully will be refreshing change from the 1 or 2 bites a season that I’ve been used to of late. Let’s hope my dreams of some big nene valley commons become reality this season as it progresses. Next time you question what you’re doing in any angling situation, just go with what your inner ability and confidence tells you. If it’s worked before there is a fair chance it will work again and over complicating things will bring you more blanks than sticking to what you know. The guest mug is always in my bag so if you see me on the bank come and have a brew and a rattle. I believe that sharing experiences and opinions is nearly as important as catching the Carp themselves. It’s been my pleasure to talk in this month’s guest spot. This entry was posted in Techniques and Methods and tagged chris appleby, chub carp, greys carp. Bookmark the permalink. Great article, full of common sense, well thoughtout advice thats inspired me for the coming season. Hoopefully, ‘Apples’ will write again, very easy to read and found myself agreeing with much of the advice offered. Makes a change from the usual rubbish were fed on a monthly basis. Good article Chris. So many anglers out there defeat themselves before they’ve even got the rods out by having doubts about baits, rigs and location etc. We live in an era where everything can be bought off the shelves in the tackle shop, someone could go and buy all they need to replicate some of the successful anglers in the mags. Confidence is one thing that will never be in a packet on a shelf, it comes with getting out there and doin it, and its a major factor in whether someone is successful or not. Confidence breeds confidence, and confidence definately breeds success!!! Look forward to some more ramblings in the future Chris. Superb article! No nonsence just facts and opinons. Makes a very refreshing change to actually read about situations that every angler finds himself in and which “normal” anglers can relate to !! Top article from a top angler who should be writing on a regular basis! Great article Chris as an old mate once said PMA is the best thing you can take carp fishing.If you happen to be on a water where you hope for a couple of runs a season then doubt can creep in after a while so you need confidence just to keep going. I met you 3 years ago on Lindrige in Sutton and what you told me about that lake and your style certainly paid off, great articticle all true and i believe that you should be up there with the best of them. would love to catch up with you again.